Lower right I.O. 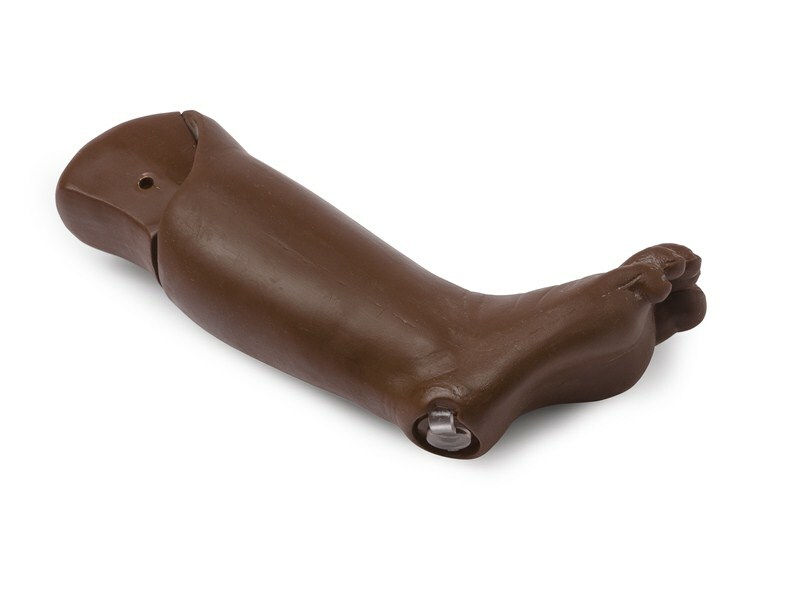 leg in brown skin tone to fit Nursing Baby manikin features simulated tibia and anatomical landmarks at the tibial tuberosity and medial malleolus. Fluid may be infused for realistic flasback. Drain in heel connects to reservoir bag.